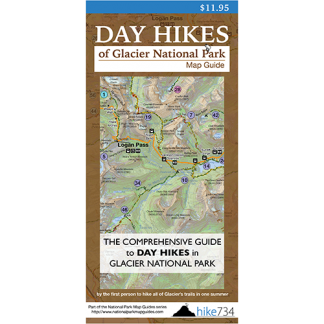 This top-of-the-world hike features incredible alpine meadows and great glacier views. The trail is in the trees for the first several miles. At a little over 2.5 miles in, the Siyeh Pass Trail breaks off to the west and heads up Preston Park. This is one of the prettiest alpine meadows in the Park, and is a perfect spot for lunch. Mt. Siyeh, one of six peaks in Glacier that is over 10,000 feet high, dominates the view to the north. At the head of the valley, the trail has some switchbacks up the rocky slopes of Matahpi Peak to the pass. From there, you will have excellent views into three different drainages. The pass is a great place to stop for a quick rest before descending 3,400 feet over 5.4 miles of trail. 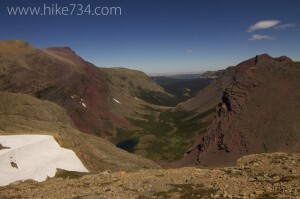 Mountain goats and bighorn sheep are often seen on the Baring Creek side of the pass as you look at Sexton Glacier, which is the main source of the creek. The terrain moves from rocky to alpine to forest. The trail comes out at Sunrift Gorge, which is a wonderful treat waiting for you at the end of the trek. It is also a popular stop for the Park’s shuttle system, which can bring you right back to your vehicle at Siyeh Bend. Trailhead: Park at the Siyeh Bend parking lot and take the trail for Piegan Pass, which is clearly marked.